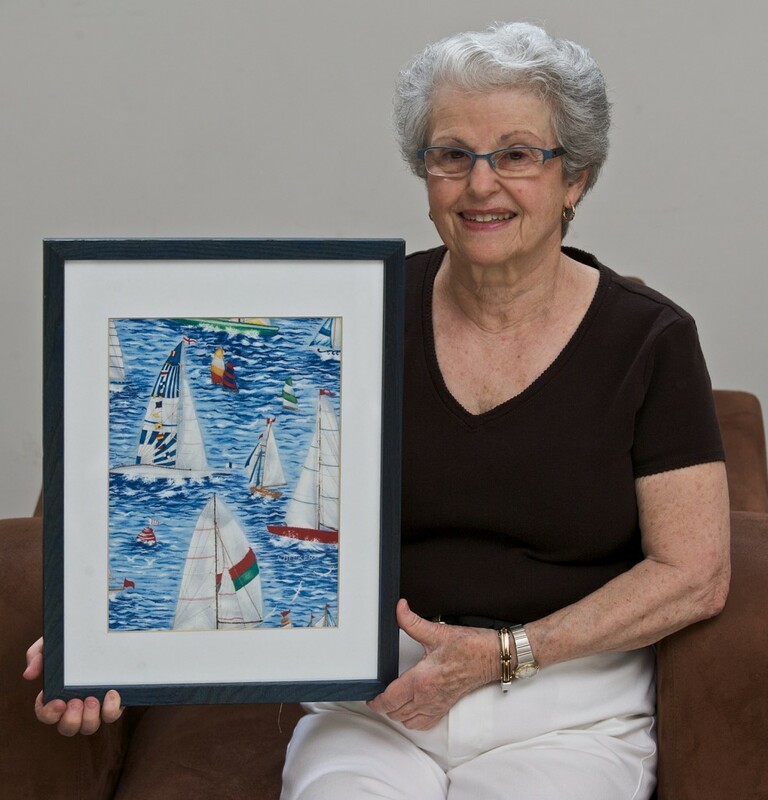 Isabel Anchin Becker of Sarasota, Florida developed this form of fabric use for pictures after many years of sewing clothing and quilting and then reading a cloth children’s book to her grandchildren. She uses fabric, thread and a sewing machine with some commercial fabrics and more recently, she converts her photographs into the fabric which she uses. The pictures are framed to hang. Mrs. Becker is an active member of the Fine Arts Society of Sarasota, and is a member of the boards of the Sarasota Ballet and of Aviva Jewish Housing Foundation of Sarasota where she teaches watercolor painting to the residents at Kobernick House independent living. Also, she has established the annual art exhibit for residents of The Landings. Fabric Play Arts is a collection of one of a kind fabric pictures which become an exhibit. Themes change according to what inspires the artist…recent travel, fabric, just an idea, nature, requests from clients.